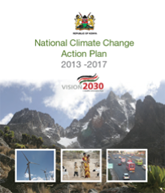 The workshop was convened as part of the work plan for the development of the National Climate Change Response Strategy’s Action Plan. 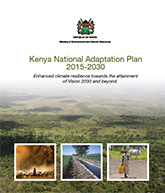 The overall objective of the consultations is to provide an opportunity for stakeholders from each of the counties to prioritise climate change concerns and required actions to inform the Action Plan. The following are some of the socio-economic and geographic characteristics of the five counties (Kiambu, Kirinyaga, Murang’a, Nyandarua, and Nyeri) represented in the workshop: Kirinyaga, Murang’a and larger parts of Kiambu and half of Nyeri are in agro-ecological zone II (AEZ II), i.e. they are characterised by steep terrains and receive rainfall all year around, save for one to two dry months. Consequently, they support crop cultivation. Indeed, the four counties, i.e. Kiambu, Kirinyaga, Murang’a, and Nyeri produce large quantities of tea and coffee, among other crops such as maize and potatoes. In addition, Kirinyaga produces rice. Kieni in Nyeri and Nyandarua, being on the leeward side of Mt. Kenya and the Aberdares Ranges, are semi-arid and thus support agro-pastoralism. Dairy farming is an important industry in all the five counties.